Chile is a long, narrow country on the southwestern part of the continent. It has a coastal highland range and an Andean Mountain range with a fertile valley running between them through most of the country. Easter Island, with it’s colossal Moai Statues, is situated 2,200 miles west of Chile in the Pacific Ocean. Easter Island (Isla de Pascua, Rapa Nui), is an island belonging to Chile, located in the South Pacific, is one of the most isolated in the world, it lies at 3,600 km east from the coast of South America and at 2,000 km west from the nearest inhabited island, the equally isolated Pitcairn, while the uninhabited island of Sala y Gómez (0.12 sq km), also belonging to Chile, is only 415 km to the east. The island is so named because it was discovered on Easter Day 1722 (5 April 1722) by Dutch explorer Jacob Roggeveen, since 1888 it’s owned by the Chilean. The island, triangular in shape, is of volcanic origin, it has three distinct volcanic cones: Terevaka (507 metres), which forms the central part of the island and is its highest mountain, the other two volcanoes are Poike, to the east, and Rano Kau, in the south-west. When is the best time to travel to Chile & Easter Island? The best time to travel to Santiago is September to April. For Torres del Paine National Park and the Chilean Lake District, it is October to March. Patagonia Cruises only operate from mid-September to Mid-April. The Atacama Desert is mild year-round, but nights are colder due to the higher altitude. 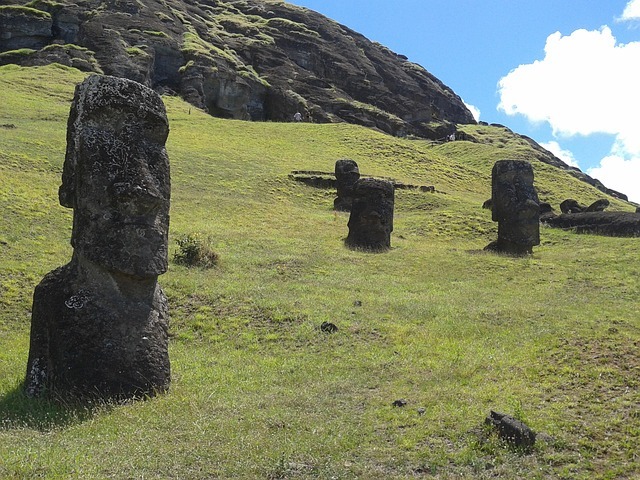 Easter Island has a relatively mild climate and can be visited year-round. For skiing, the season runs from June to October. What vaccinations are required for travel to Chile & Easter Island? The Centers for Disease Control and Prevention’s website provides recommended and/or required vaccinations for each country. For Chile and Easter Island, it recommends that you should be up-to-date with routine shots such as measles/mumps/rubella (MMR) vaccine, diphtheria/pertussis/tetanus (DPT) vaccine, and poliovirus vaccine, and that you get vaccinated for Hepatitis A and Typhoid, and Hepatitis B, depending upon your travel plans. Yellow Fever vaccination is not required for Chile, but for travelers to Easter Island, the government requires travelers arriving from certain countries where Yellow Fever is present to present proof of Yellow Fever vaccination, see here. The CDC also suggests that you see a health-care provider at least 4-6 weeks before your trip to allow time for your vaccines to take effect. What are the passport/visa requirements for American citizens traveling to Chile & Easter Island? U.S., Australian, Canadian, and EU (except Greece and Romania, which require a visa) citizens require a passport valid for at least six months from date of entry and return ticket for stays of up to 90 days. U.S., Australian, and Canadian citizens are required to pay a reciprocity fee (considered a multiple entry visa) of $100, $56 and $132 respectively in cash upon arrival (subject to change without notice due to currency fluctuations or other reasons). Citizens of other countries are advised to contact the Chilean embassy in their country before traveling. What are the standard wall currents and electrical socket shapes in Chile & Easter Island? Voltage: 200 V; Frequency: 50 HZ; Plugs: Type C (European 2-pin) and Type L (round pins with round grounding pin in line). What are the international departure taxes for Chile & Easter Island? $30.00 per passenger. Additionally, there is an arrival tax of $131 for U.S. Citizens, $132 for Canadian Citizens, $56 for Australian Citizens, and $15 for Mexican Citizens.